P-town Air Tours flies over P-town and the lower Cape. Amazing views of the town, dunes, beaches, whales, sharks and more! 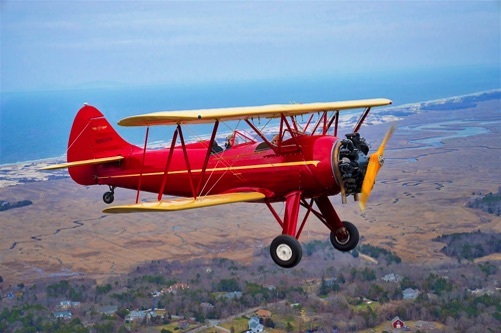 We fly a renovated 1940 Waco UPF7 Biplane, red with bright yellow wings, you can't miss us! Two people fly at once in the biplane, riding side by side. We also have a Cessna 172 that can take up 3 passengers, this plane is avaiable by special request. Head on over to our P-town website for pricing and reserving your ride. 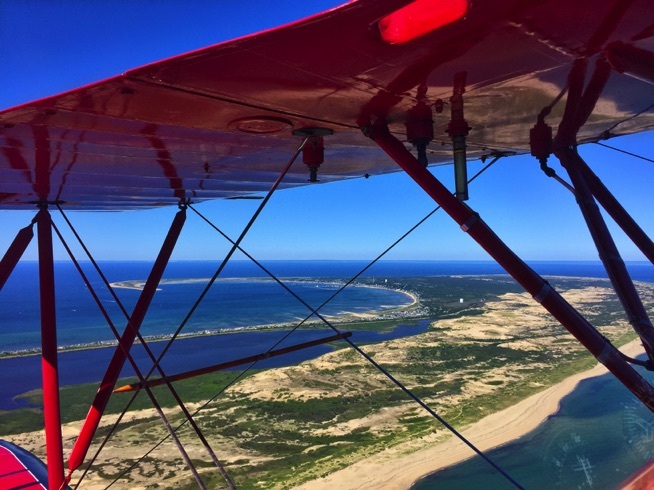 Each location has it's own phone number and email so if you want to ride out of P-town, head over to our P-town Air Tours website. 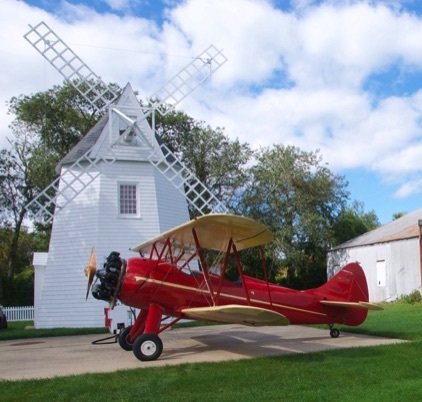 We fly from Provincetown too!